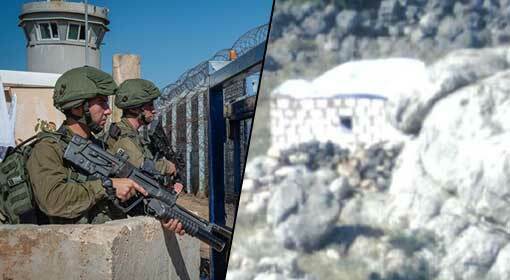 Jerusalem: The Israeli army exposed that hidden bases of Hezbollah, participating in the Syrian conflict with the Iranian military, are active in the Golan area near the Israeli border.As per the information given by the Israeli intelligence agencies, Ali Moussa Dakdouk, responsible for killing 5 US soldiers in Iraq, is leading the Hezbollah base in the Golan area of Syria. Israel carried out air attacks in the Golan region, accusing that rocket attacks were originating from this region targeting the Israeli territory. The Israeli intelligence agency released a video on Wednesday, claiming to have exposed the Hezbollah network in Syria. In this, Hezbollah has built its bases in bunkers, in the Golan Region, near the Israel border. The Israeli agencies have claimed that the concerned bases are away from the Syrian posts and the regular route of patrolling. Dakdouk is responsible for this Hezbollah network, and he was assigned this task of building an independent network in Syria, after executing the attack on US soldiers in Iraq. The Israeli intelligence agency claimed that this Hezbollah movement in the Golan region has happened without the knowledge of Syrian President, Bashar Al-Assad. The Israeli intelligence agency accused that these Hezbollah bases are the first stage of Iranian preparations for an attack on Israel.The Israeli intelligence agency has published photographs and videos of Dakduq, responsible for killing 5 US soldiers, in Syria. This video released by the Israeli intelligence agency regarding the Hezbollah movements in Syria is claimed to be a warning for the Iran supporter terrorist organisation. Since the last few days, the tension between Syria and Israel is increasing over the Golan Heights region. Rocket attacks are being launched into the Golan Heights region in Israel from the Syrian border. The Israeli military had retaliated against these attacks. However, the Syrian Deputy Foreign Minister threatened Israel, objecting to this Israeli action. The Syrian Deputy Foreign Minister had threatened that if Israel did not give up the Golan Heights, Syria would declare war against it.